There are about fifty people packed into the bright red chairs that have been set up for this installment of the “Fresh Ayers” talk series, along with a dozen more people standing between the bookshelves that hem in the event space. It is evidently an audience full of friends, and Stovall and the namesake of the series, the revolutionary theorist Bill Ayers, spend the minutes before the event shaking hands and exchanging hugs. Stovall begins the talk with a shout-out to the protesters at airports who were expressing their opposition to President Donald Trump’s recent executive order banning immigration from seven Muslim-majority countries. Citing the ban and resulting protests as a particular moment in the struggle for equality and respect, Stovall explains how the creation of SOJO in 2001 represented another such moment. At the time, he says, there had long been a demand for a new school in the Little Village community, and it had been one of then-Mayor Richard M. Daley’s 1997 mayoral campaign promises. Yet while there had been three selective-enrollment schools opened since 1998, a new school for local students had not materialized. Stovall’s book lays out how the numerous attempts made by community members, including students and parents, to pressure CPS into building the promised school—speeches at board meetings, sit-ins, and even a Mariachi band singing a song titled “Dónde la escuela”—all turned out to be unsuccessful. 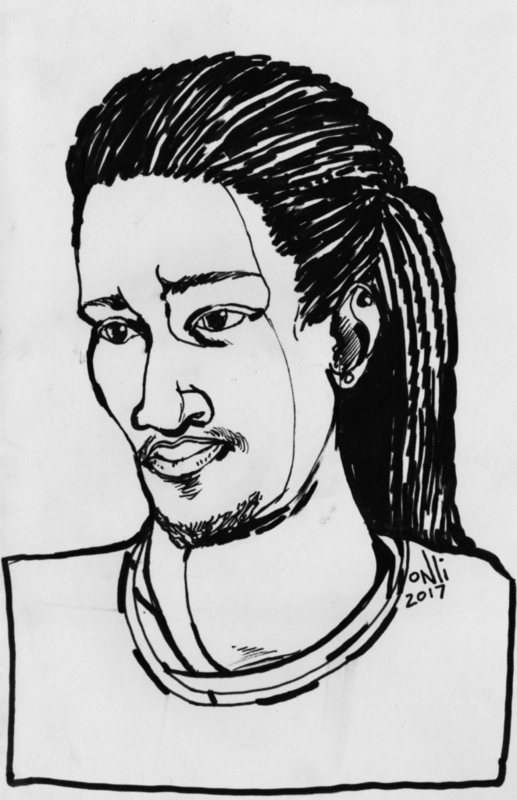 Finally, Tomas Gaete led the community in organizing a hunger strike; the organizers saw it as the best way to demonstrate the seriousness of this issue for the community. Fourteen huelgistas, as they came to be known, held out for a full nineteen days to force CPS to the negotiating table. One of the huelgistas was a high school senior, and two were grandparents. The hunger strike culminated in CPS’s agreement to build the long-awaited school. Years later, when SOJO finally opened its doors, the school’s first students wondered why the same protesters who had fought for the school were picketing outside on the first day of the school year. In fact, the huelgistas were welcoming the students, and reminding them where the school had come from. But it was a victory followed by many more struggles. The design committee for the school had to constantly fend off attempts by CPS to stymie the social justice and community-oriented aspects of the school they were trying to create. In his talk, Stovall emphasized the theme of this struggle in perpetuity—in his book, he heavily criticizes what he describes as the neoliberal approach to education reform, writing, “public education has been deemed a ‘failed experiment’ desperately in need of ‘innovation.’ Despite minimal success, these ‘innovations’ have resulted in further marginalization of communities that have historically had the least access to resources and state infrastructure.” The struggle to maintain SOJO’s authenticity is central to the book and the talk. Another internal conflict that appears throughout this story is the tension between the mostly Latinx community of Little Village that first protested to get the school and the largely African-American community of North Lawndale that was required to be included in the student body. This arose because of how CPS interpreted a 1981 federal consent decree to desegregate schools, in this case by requiring each SOJO to have a population no less than thirty percent African-American and no more than seventy percent Latinx. Since the North Lawndale community was not involved in the initial hunger strike, many of the demands and memoirs of the school’s founding seem to carry an exclusionary air to the North Lawndale students. Stovall explains that this divide still persists in the halls and among the school’s board, although there is considerable cooperation in the classroom. Throughout its history, SOJO has come under threat many times for a plethora of bureaucratic and financial reasons. A budget cut in 2010 cost the school four teachers and its reading specialist, reflecting a trend common across most of CPS. In 2012, the newly hired principal of SOJO was fired four days before the start of the school year, and the interim principal assigned by CPS dropped the school’s existing schedules and changed the list of courses; this was particularly harmful for seniors who needed the advanced classes for their college applications. Stovall also describes a constantly changing list of state or local requirements that the unique school had to meet, keeping it under pressure to conform to the changing standards. Stovall’s involvement in the school began a few days into the hunger strike when Carolina Gaete, one of the organizers, sent him a text message telling him to come to one of their events. Stovall waited at the corner for several minutes with a few others who had received the same message, with no idea of what they were getting into. He ended up becoming part of the design team for the new school. During his talk, Stovall reflected on the personal struggle he faced in writing the book with the dual perspective of both an activist and a researcher. This internal conflict manifested in how he approached the process of offering input, documenting the school’s creation, and speaking up against CPS. Much of the book’s introduction focuses on the importance of remaining accountable to the groups Stovall has worked in solidarity with, and of having respect for everyone involved in the process. Stovall’s concerns stem from what he describes as the history of social science researchers exploiting the disadvantaged groups they are working with. Not being a member of the Little Village or North Lawndale communities was another factor in his choices to speak up or remain silent and let the original organizers speak. One of SOJO’s innovations was to offer college credit for courses that would be taught by visiting professors; Stovall was one of these professors, and the book also explores his experience teaching at the school. For all Stovall’s self-criticism of his teaching style, the chapter that focuses on his experiences with his students shows him much more at ease than when he is discussing his activism, but he has just as much enthusiasm. In the “Hip-Hop, Urban Renewal, and Gentrification” section of his course at SOJO, he invited his students to consider Jeff Chang’s song “Can’t Stop Won’t Stop,” and to describe what a “necropolis” meant to them. The students responded with descriptions of problems that plague many of the neighborhoods around SOJO, such as high crime rates and a lack of social services. The discussion moved on to a consideration of how Chicago could remain a “city of dreams” for some, while being a “necropolis” for others. During his talk, Stovall defended students’ right to exactly this kind of alternative education, explaining how unique teaching strategies like those at SOJO were under attack by a larger trend to close down nonconforming schools, especially those in disadvantaged minority neighborhoods. Stovall spoke further on the criminalization of black and brown bodies, stating that many schools that impose harsh discipline and security can be thought of as jails themselves. School, he said to cheers of approval from the audience, is not the same thing as education. “What the majority of people are getting is school, but they are also resisting school and fighting for education, however it comes,” he said. David Omotoso Stovall, Born Out of Struggle. SUNY Press. 208 pages. $22.95.